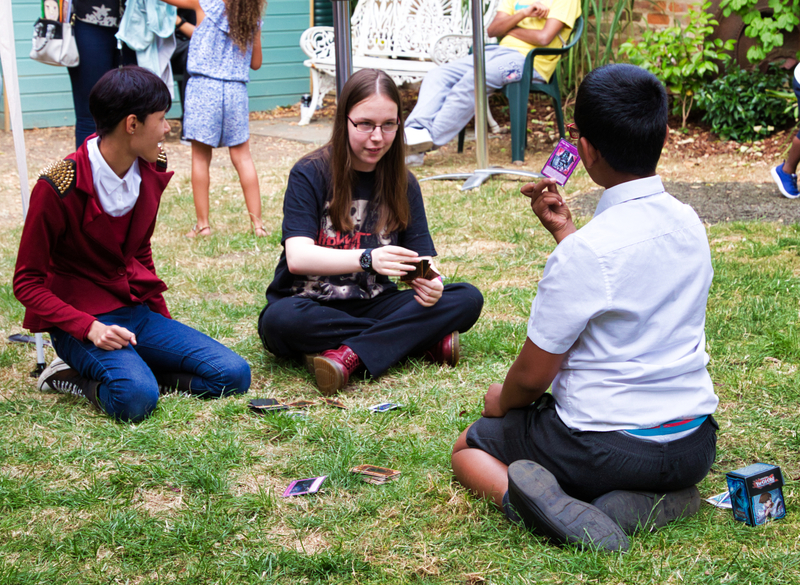 Last Thursday we held our Annual General Meeting and Summer Garden Party with great success! We had a total of 273 guests which included many of our family carers, service users, trustees, committee members, council members, funders, and wider community. 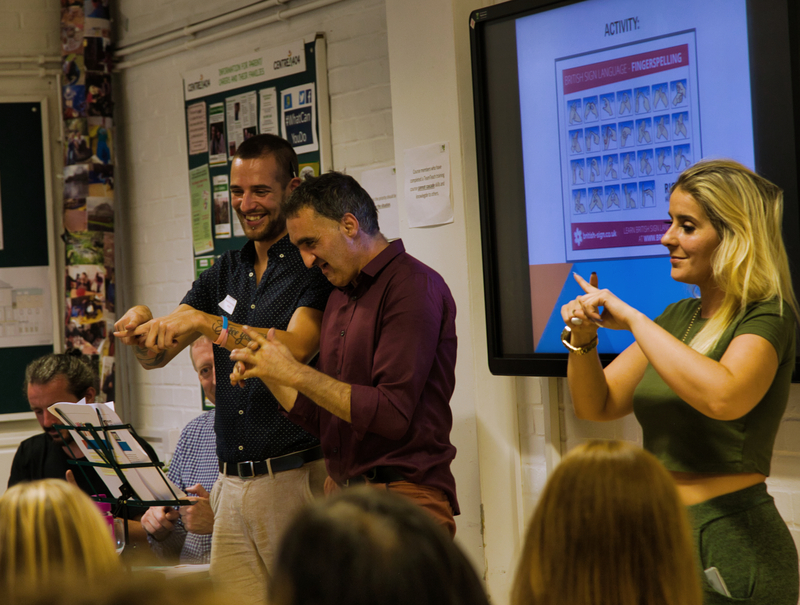 The Annual General Business meeting included a short presentation highlighting the importance of communication and the various forms of communications those with a learning disability or difficulty use including Makaton. 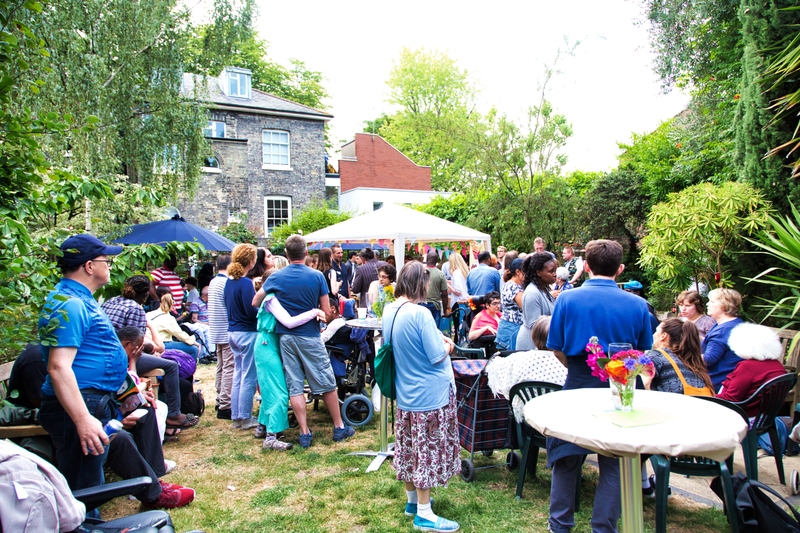 We were so thrilled to have this year’s event in our newly refurbished garden, a generous gift from the team at Marks & Spencer’s. 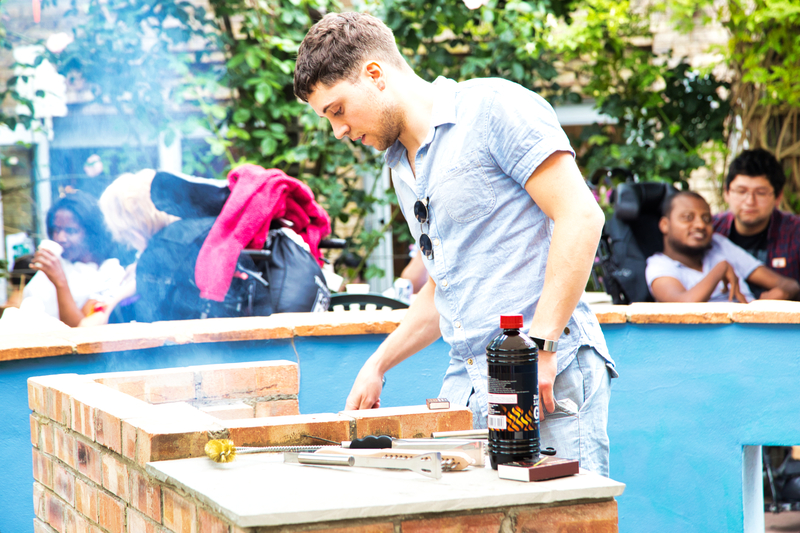 In addition to beautiful new plants and paint job, the group built us a brand new BBQ which we officially opened at the event. Everyone enjoyed grilled sausage, corn, and skewers! This year we had food donated from the following donors: Mildred’s, Ottolenghi, Big Red’s, Bengal Spice, Lameza, Hilton, and Cookies and Scream. 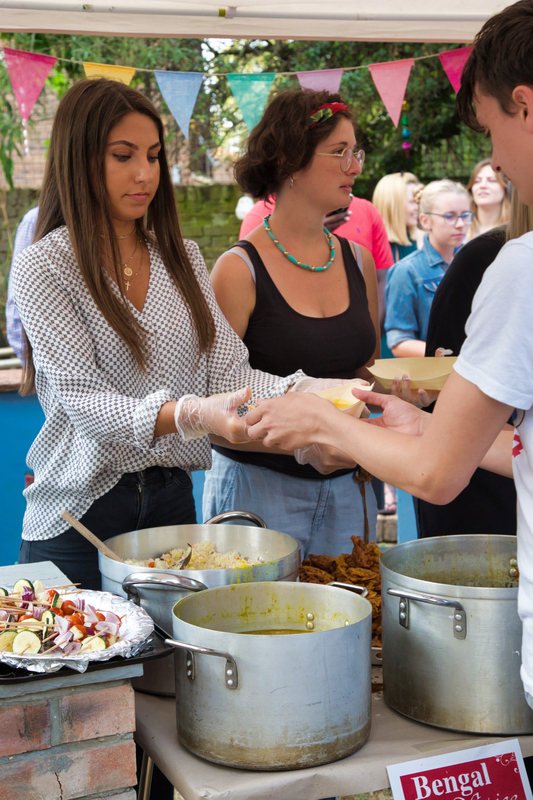 The food choices ranged from curries, chillies, to pasta and pizza and provided everyone with a delicious vegetarian meal. No party would be complete without entertainment and this year we had two great performances. The first, and Centre 404’s pride and joy, was our resident band The 404 Stormers. 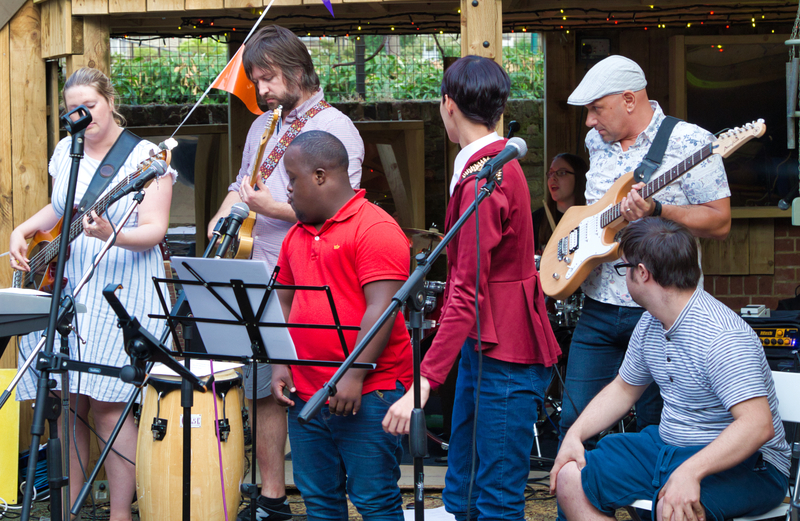 The group, made up of youth with learning disabilities, was able to perform some of their new music which they wrote themselves. The next group, WILD, kept us dancing to our favourite songs until late in the evening. Kevin, our beloved DJ that helps us at Friday Night Social also provided us tunes to set the atmosphere of a spectacular garden party. Our special guest of the evening was Labour Party Leader and Centre 404 patron, Jeremy Corbyn, who graciously enjoyed taking selfies and mingling with our guests. Many hands went into making this event possible. Here is a big thank you to everyone who helped and volunteered, including UCL who provided volunteers for our event. And finally, a big thank you to the community for supporting Centre 404. Here is to another great year to celebrate!